June 18, 1961. 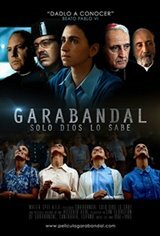 In a small village in Northern Spain, San Sebastián de Garabandal, four girls, Conchita, Jacinta, Mari Loli, and Mari Cruz, claim that St. Michael and the Virgin Mary have appeared to them. The village's parish priest, Fr. Valentín, and the Civil Guard brigadier, Mr. Juan Álvarez Seco, suddenly become protagonists in an overwhelming event.